“Bellator 61” takes place Friday inside Horseshoe in Bossier City, Louisiana. Make sure to stay with 5thRound.com all night for our live coverage. Spike.com will kick off the festivities by streaming four preliminary bouts live at 7PM ET/4PM PT. MTV2 will then broadcast the card’s featured fights at 8PM ET/PT. Tonight’s show will feature the quarterfinals of Bellator’s Middleweight Tournament. 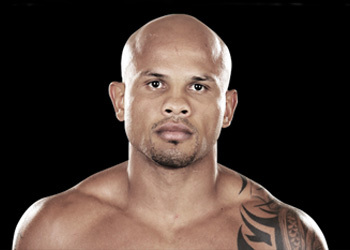 Former UFC fighter Maiquel Falcao (Pictured) and Norman Paraisy serve as the night’s main event. A heavyweight rematch between Eric Prindle and Thiago Santos was slated to headline the festivities, but Prindle was forced out at the last-minute due to illness.